Personal: Father, Ramiz, is Kosovar Albanian, mother, Diane, is American. Besim has duel-citizenship U.S.A. and Kosova. In June of 2006 married a Macedonian citizen. A strong, physical player who is very good on defensive end. Usually ends up guarding taller players because of his strength and versatility. Can shoot the ball well beyond 3 point range, but prefers to take it hard to the basket. A crowd favourite because of his acrobatic dunks. Known to hit big shots in the clutch. A team first player who doesn’t force the shot, even though he can score constantly. A true winner that does whatever it takes to win. 2002: Hoop Zone Summer Pro/Am League: 16.4 ppg, 8.3 rpg, 3.1apg; Participated upon invitation in the inaugural season of the Hoop Zone Pro/Am. This league was sanctioned by the NCAA and hosted a number of established athletes including numerous NBA veterans and draft selections. 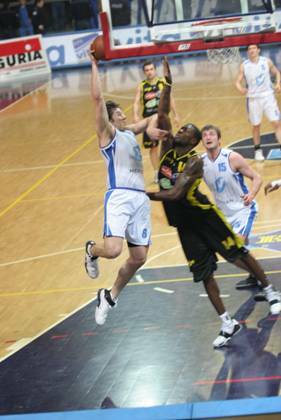 2002-2003: KB MEB Prishtina (KOS-Superleague): while on team travelled through Eastern Europe and played exhibition games against teams from the Croatian and Slovenian first divisions. 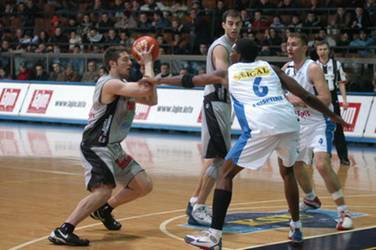 In Feb.'03 moved to KB Exclusive Prishtina (KOS-Superleague): also assisted coaching of the junior team.